I’ve actually gotten back into the habit of reading again after a long time of saying But, I don’t have time to read! 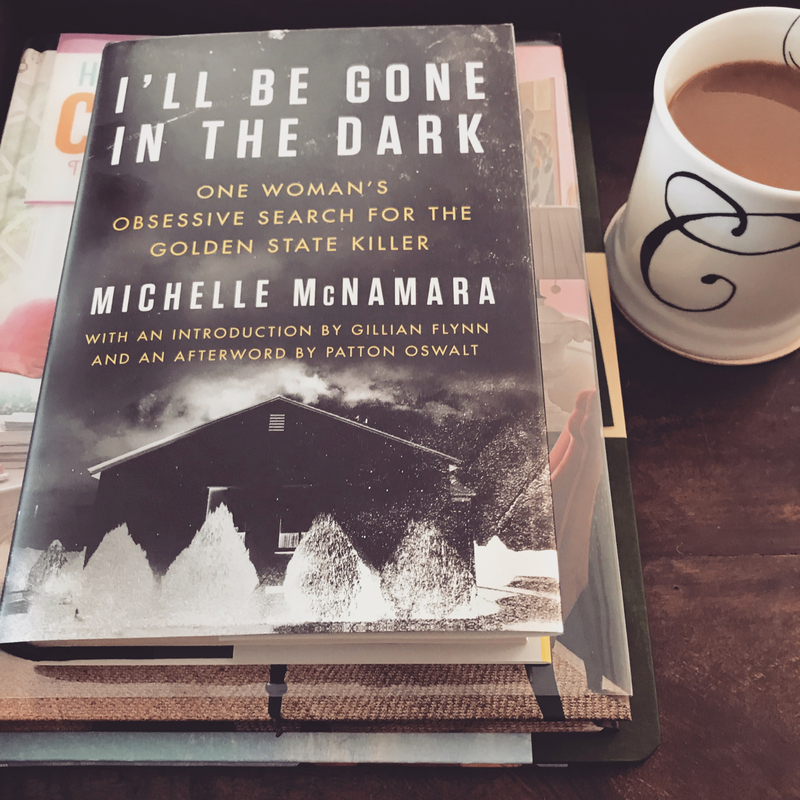 I finished Michelle McNamara’s book I’ll Be Gone in the Dark. Without losing momentum, I started Sharp Objects by Gillian Flynn. Then, recently Nick and I took Rory to the library for the first time. 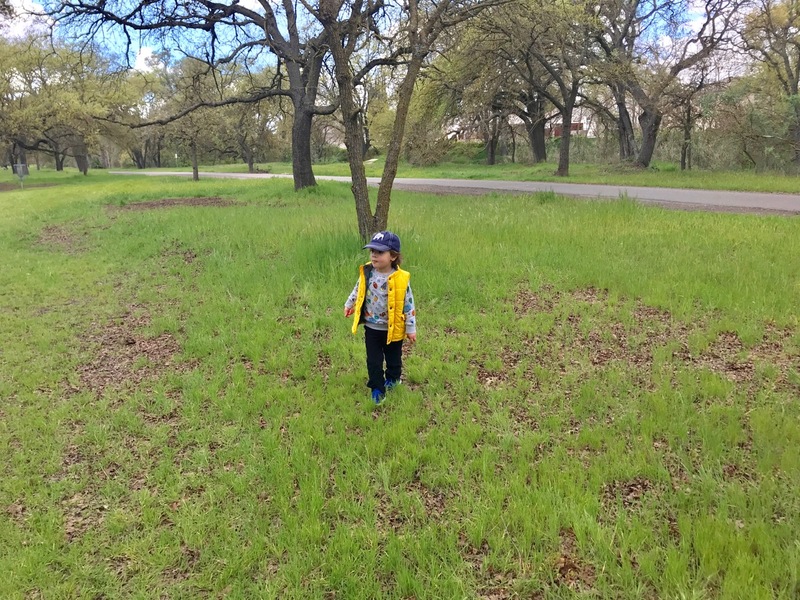 I’d been meaning to take him ever since we moved to our new town, but never worked up the nerve because he’s a runner. Sure enough, Nick had to corral him while I signed us up for library cards. I checked out a few Gretchen Rubin and Brené Brown books, and I’ve already finished The Four Tendencies and I’m half way done with Happier at Home. My friend Cassie over at Mouth Half Full hosted a yoga challenge for the month of March and I followed along via a Facebook group. It was my first foray into yoga and I loved it. We did the True 30 Days of Yoga over on the Yoga with Adriene channel. It was really awesome and Rory even got into it. His favorite thing to do is tell me to do Mama Gaga and point to my yoga mat and then run around me in circles and climb on top of me while I practice. He’s very enthusiastic, but not very helpful. Ha! I definitely felt the mind and body benefits. I swear my arms are stronger and my head feels clearer with all that deep breathing. This might be kind of dumb, but I seriously struggle with remembering to keep my body energized with healthy snacks. When I was working a full-time job it was very much an afterthought and I’d eat whatever I had brought from home or go buy something from the store on campus. Or even worse, I’d starve until dinner time and be an insane hangry person. Here’s what I’m munching on: apples, oranges, frozen blueberries, string cheese, peanut butter, quick homemade trail mix (with almonds, walnuts, cashews, peanuts, semi-sweet chocolate chips, dried fruit), homemade popcorn, crackers and veggies with homemade spinach and onion dip, homemade granola with yogurt or milk. I’m so happy to have a bigger fruit selection this spring and summer! Ahhh, relaxation after a long day with the kiddo and doing load after load of laundry and dishes. I just finished watching The Alienist (sooooo good! ), and it’s the perfect convergence of my interests in turn of the century New York, detective stories, a strong female lead, and psychological thrillers. To lighten the mood before bedtime, I’ve been watching home shows! First Time Flippers is always good for a laugh. I love the aesthetic and Courtney’s creativity on Restored by the Fords. And I am highly entertained by Aubrey’s design choices on Flip or Flop Las Vegas. TBH, I love that her style is gaudy glam because it’s such a departure from everything else on TV. I’m super fascinated by the Golden State Killer case that Michelle McNamara wrote about with such mastery and cannot recommend her book enough. I devoured it and the Harper Collins three-part podcast they put out to promote the book. I’m also on another true crime podcast kick. I’ve listened to the Criminology podcast’s coverage of the EAR/ONS/Golden State Killer, and I watched the ID channel’s It’s Not Over. You guys! Let’s be armchair detectives together and get this case solved! My Favorite Murder is still my favorite true crime podcast (probably because it’s classified as a comedy podcast! ), but I’ve also given True Crime Garage and True Crime All the Time some serious hours of my life. Yeah, it’s an obsession. I’ve been indulging in buying flowers whenever I can this spring. When we were last in Solvang I made Nick buy me some anemones from Ballard Canyon Farms at farmers market. 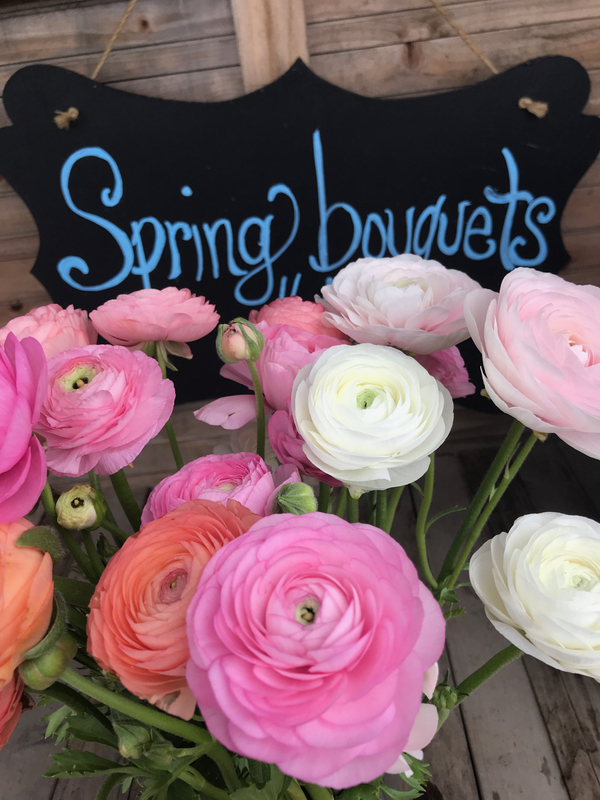 We’ve visited a couple of flower farms in Modesto and I’ve been able to get tulips at Dutch Hollow Farms and ranunculus at Kelley Flower Farm. Ranunculus are one my favorites! I can’t wait to make some more treks to local farms and see what beautiful blossoms are available. Honestly, it’s inspiring me to plant a cut flower garden more than ever. 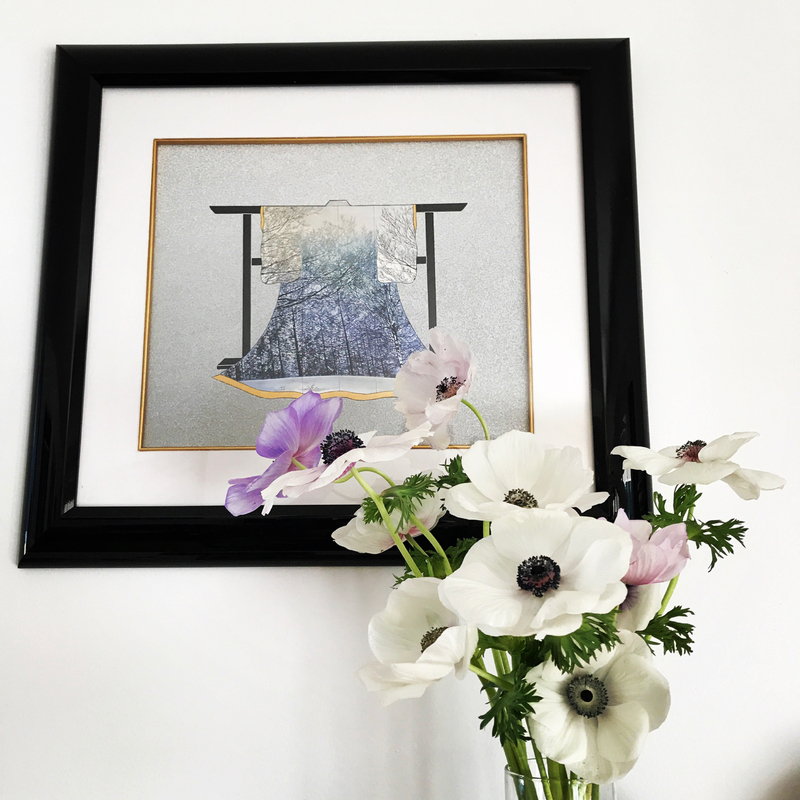 If you’re into flowers like me, fall down the best rabbit hole and check out my favorite floral artist, Saipua, a Brooklyn-based floral design compay who have their own flower farm in Albany, NY. Did you know that April is National Card and Letter Writing Month? I got a friendly reminder from The Paper Source (ya know, Big Card, lol). I am TOTALLY on board, I just need to catch up on a few days. If you are interested in getting a hand written note from me this month, send me an email at inventedcharm @ gmail dot com and we can exchange addresses!